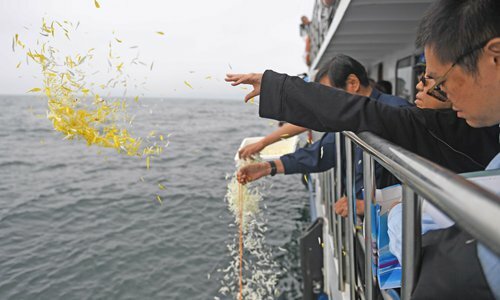 The cremated remains of Liu Xiaobo were scattered in the sea on Saturday after a farewell ceremony on Saturday morning in Shenyang, Northeast China’s Liaoning Province. 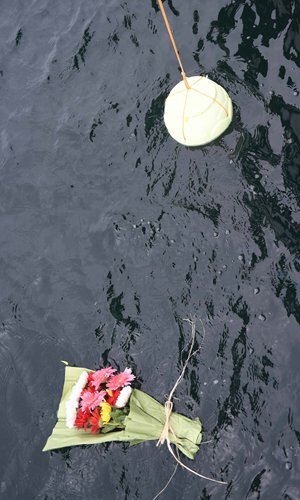 Liu Xiaobo's wife Liu Xia and his brother Liu Xiaoguang decided to scatter his ashes in the sea following local custom. Relevant authorities had offered assistance as requested by Liu Xiaobo's family members, according to Zhang Qingyang, spokesperson of the information office of Shenyang government. Liu Xiaoguang led the ceremony, which began at round noon. 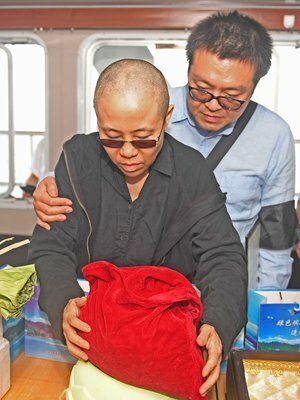 Liu Xia held her late husband's portrait tight in her arms during the ceremony. Liu Xiaobo, 61, died from liver cancer on Thursday following severe multiple organ failure. The farewell ceremony began early Saturday at a funeral parlor in Shenyang’s Hunnan district. 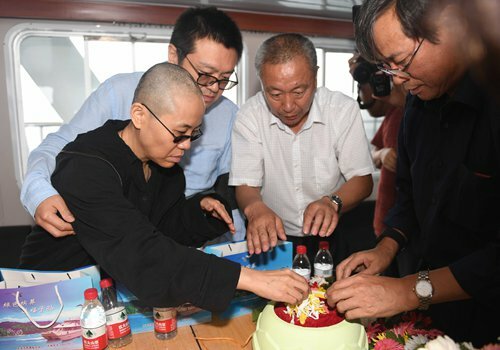 Liu Xiaobo’s family members, including his wife Liu Xia and his brother Liu Xiaoguang, as well as Liu Xiaobo’s friends, attended the ceremony. Liu Xiaobo was sentenced to 11 years in jail on December 25, 2009, after a court in Beijing convicted him of trying to overthrow the government. 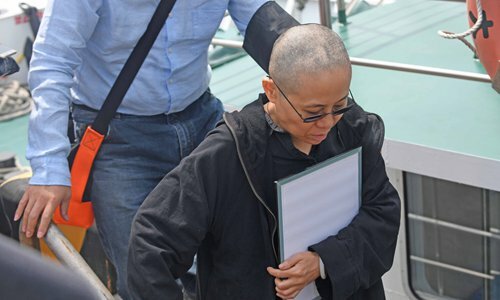 The Liaoning Prison Administrative Bureau announced on June 26 on its website that Liu had been granted medical parole after being diagnosed with liver cancer during a routine physical check conducted by the Jinzhou Prison on May 31.